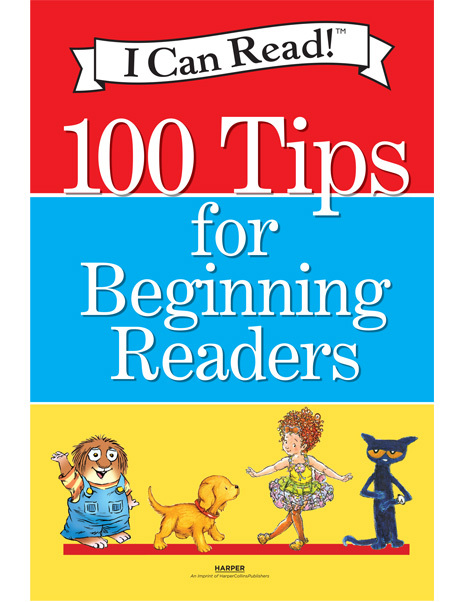 Discover one hundred fun activities and tips to help children become enthusiastic readers in this official guide from I Can Read! Download a free Teacher’s Guide for A Baby Sister for Frances, a Level 2 I Can Read! book by Russell Hoban! 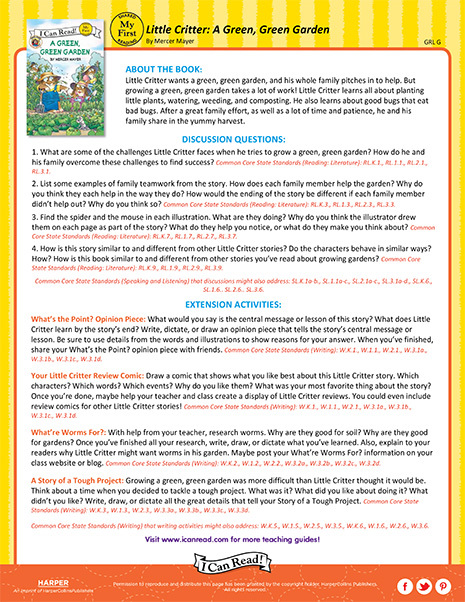 Download a free Teacher’s Guide for A Green, Green Garden, a My First I Can Read! book by Mercer Mayer! 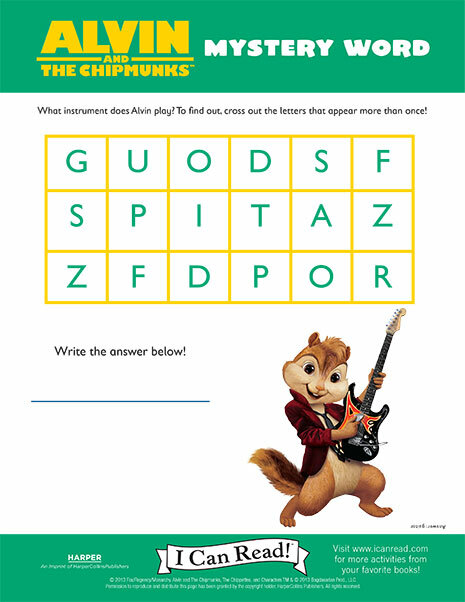 What instrument does Alvin play? 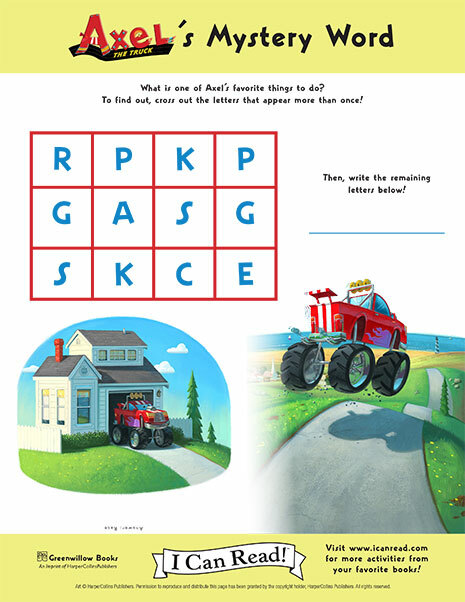 To find out, cross out the letters that appear more than once and reveal the mystery word! 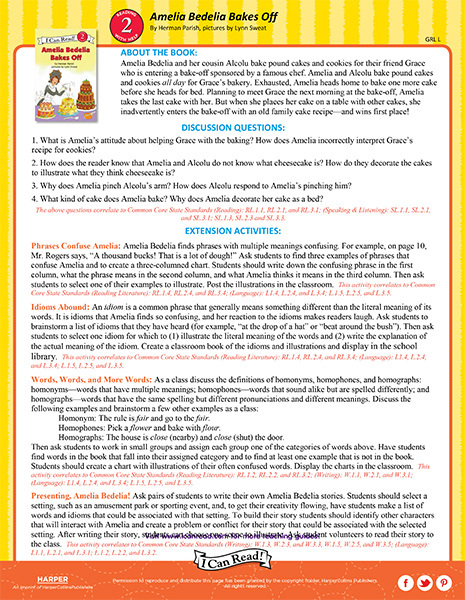 Download a free Teacher’s Guide for Amelia Bedelia Bakes Off, a Level 2 I Can Read! book by Herman Parish! In Amelia Bedelia Makes a Friend, Amelia Bedelia baked blueberry muffins for her new friend. 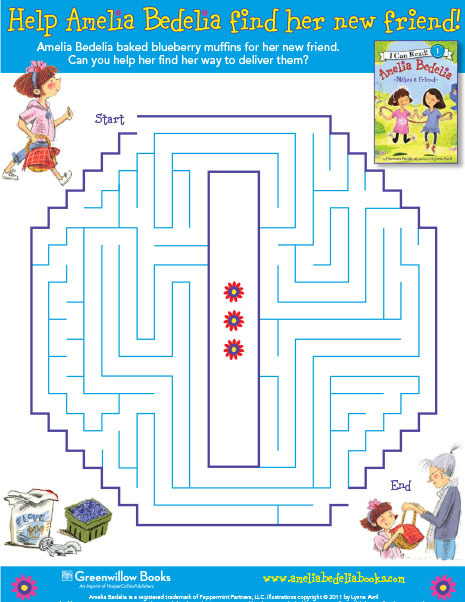 Can you help her find her way through the maze to deliver them? 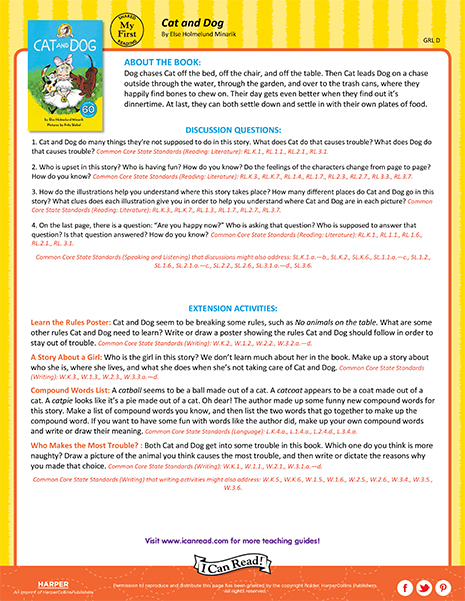 In Amelia Bedelia, Bookworm Lisa’s dog eats her book, so she and Amelia Bedelia need to replace it! 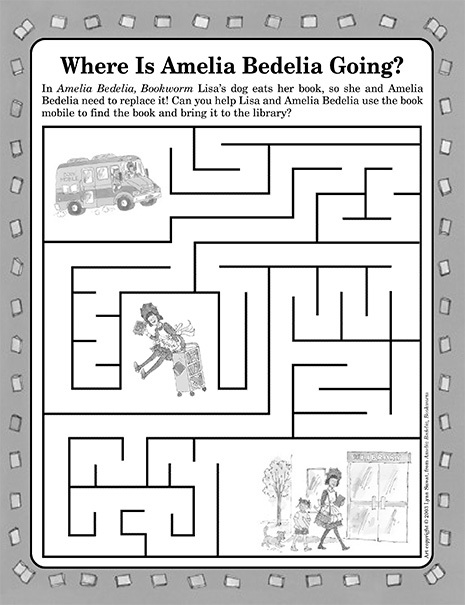 Can you help Lisa and Amelia Bedelia use the book mobile to find the book and bring it to the library? 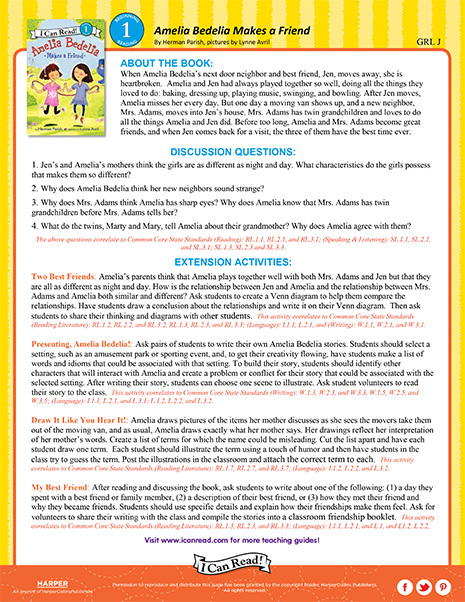 Download a free Teacher’s Guide for Amelia Bedelia Makes a Friend, a Level 1 I Can Read! book by Herman Parish! 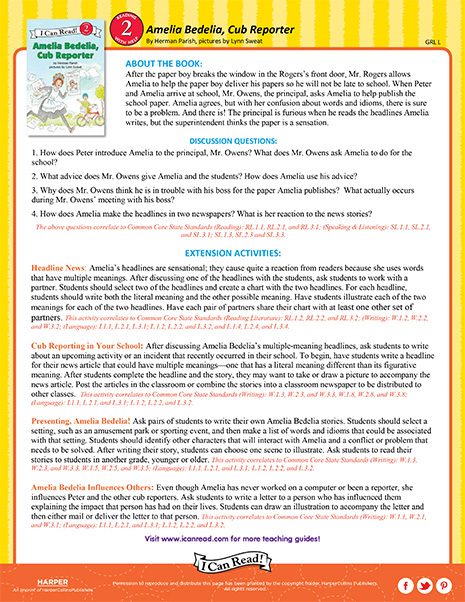 Download a free Teacher’s Guide for Amelia Bedelia, Cub Reporter, a Level 2 I Can Read! book by Herman Parish! 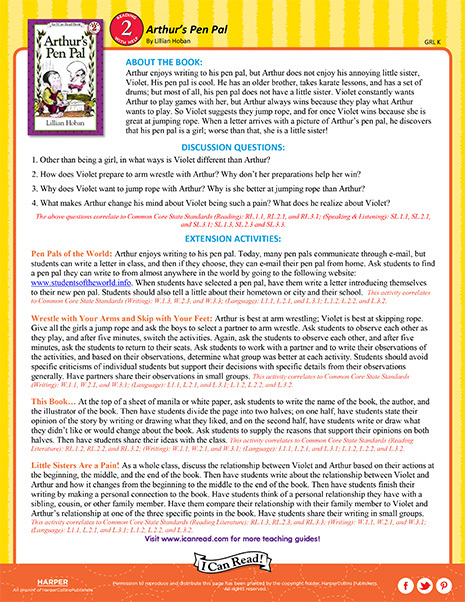 Download a free Teacher’s Guide for Arthur’s Pen Pal, a Level 2 I Can Read! book by Lillian Hoban! 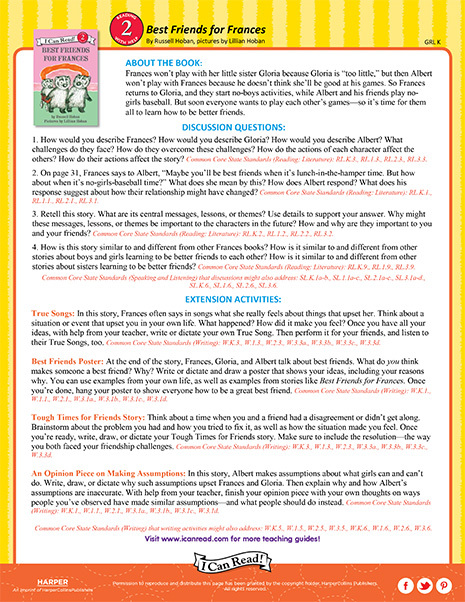 Download a free Teacher’s Guide for Best Friends for Frances, a Level 2 I Can Read! book by Russell Hoban! Download a free Teacher’s Guide for Big Max, a Level I Can Read! book by Kim Platt! 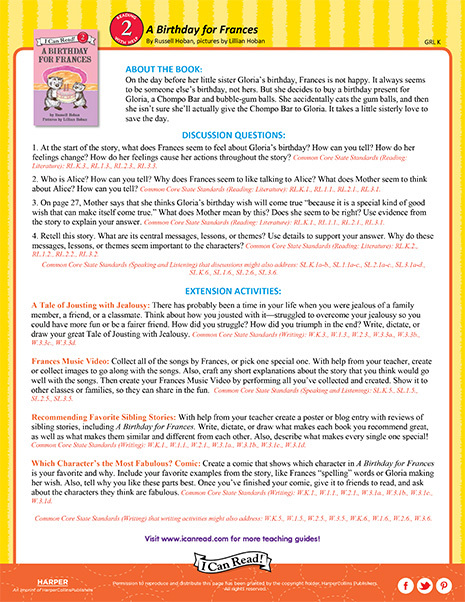 Download a free Teacher’s Guide for Birthday for Frances, a Level 2 I Can Read! book by Russell Hoban! 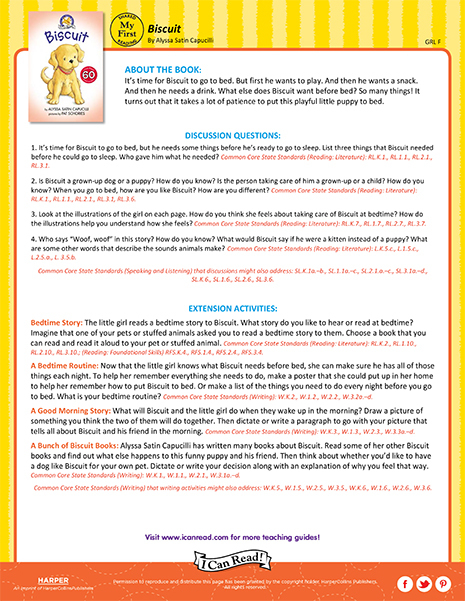 Download a free Teacher’s Guide for Biscuit, a My First I Can Read! book by Alyssa Satin Capucilli! 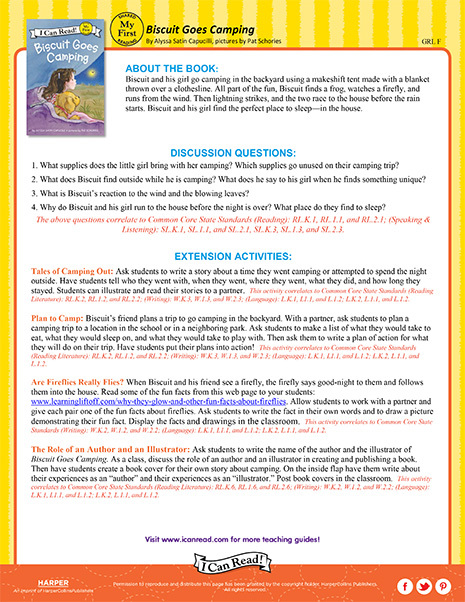 Download a free Teacher’s Guide for Biscuit Goes Camping, a My First I Can Read! book by Alyssa Satin Capucilli! 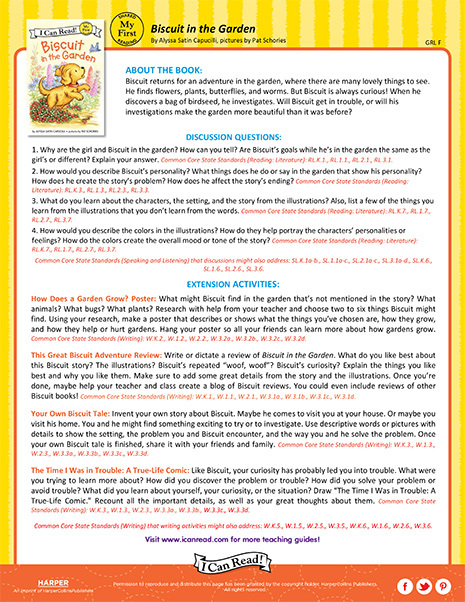 Download a free Teacher’s Guide for Biscuit in the Garden, a My First I Can Read! book by Alyssa Satin Capucilli! In Biscuit’s Day at the Farm, Biscuit sees a special animal. 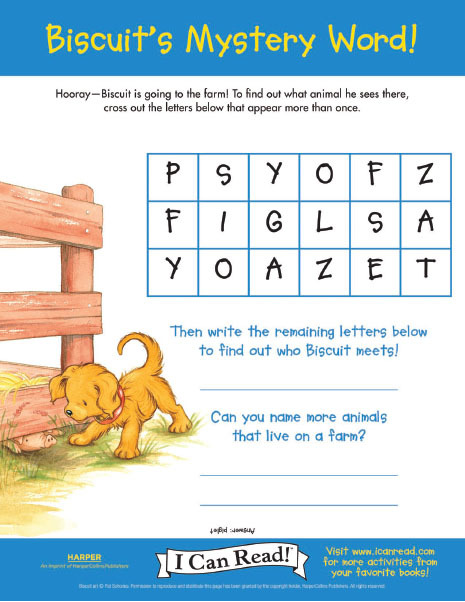 To find out what Biscuit sees, cross out the letters that appear more than once and and reveal the mystery word! Download a free Teacher’s Guide for Bread and Jam for Frances, a Level 2 I Can Read! book by Russell Hoban! 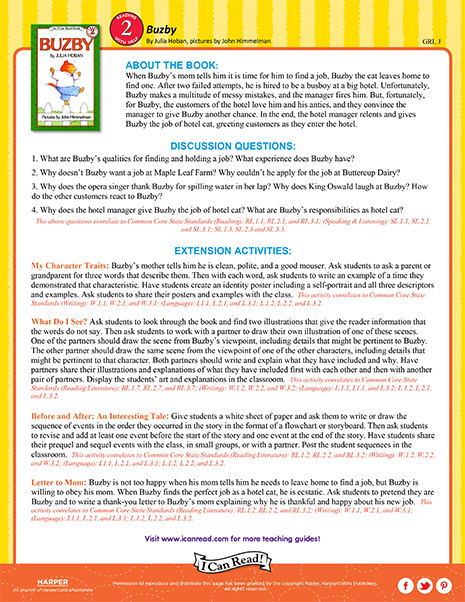 Download a free Teacher’s Guide for Buzby, a Level 2 I Can Read! book by Julia Hoban! 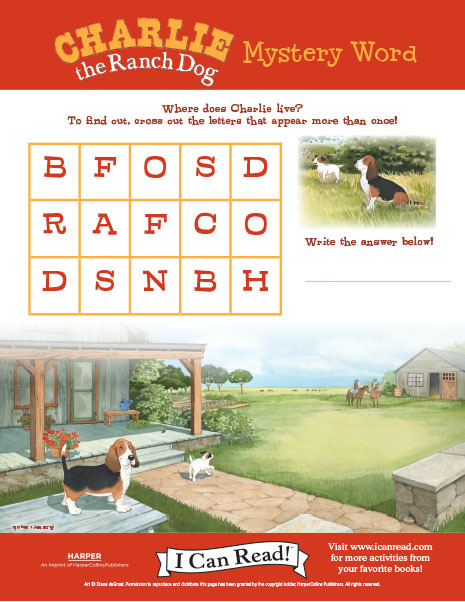 Where does Charlie live? 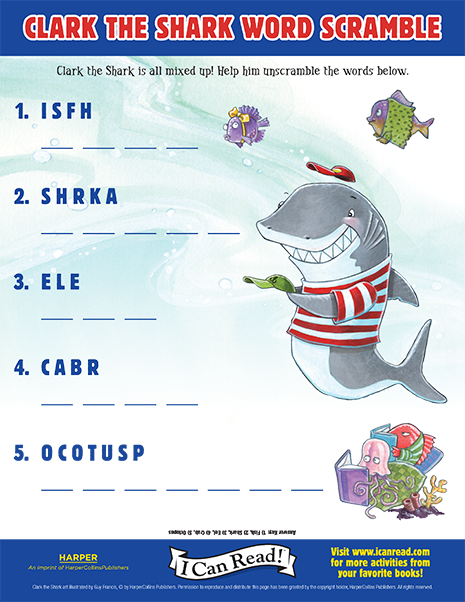 To find out, cross out the letters that appear more than once and reveal the mystery word! 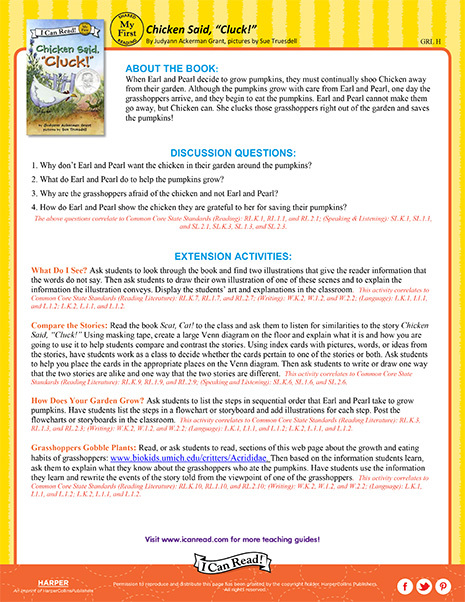 Download a free Teacher’s Guide for Chicken Said Cluck, a My First I Can Read! book by Judyann Ackerman Grant! Clark the Shark is all mixed up! Help him unscramble the words.